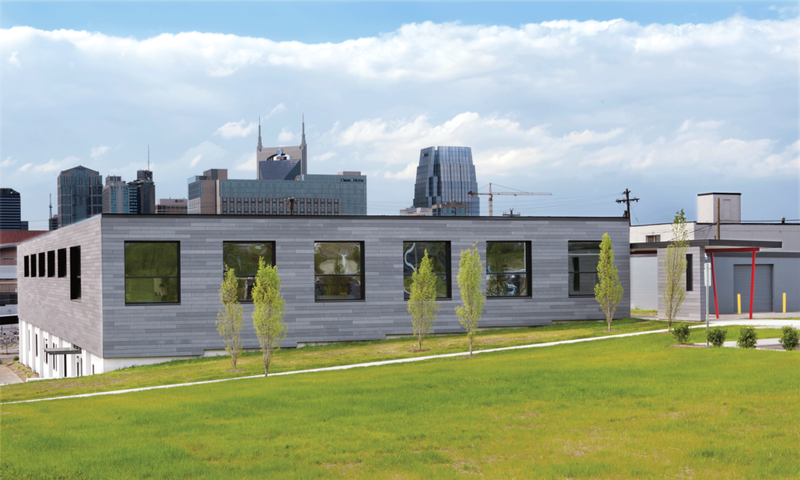 The Lankford Hardware building, as it is known locally, housed the Nashville hardware supplier’s facilities until it closed. The new owner’s pragmatic objective was to adapt the 1960’s two-story structure into a showroom for their furniture company on the upper floor and a leasable multi-tenant commercial space on the lower level. 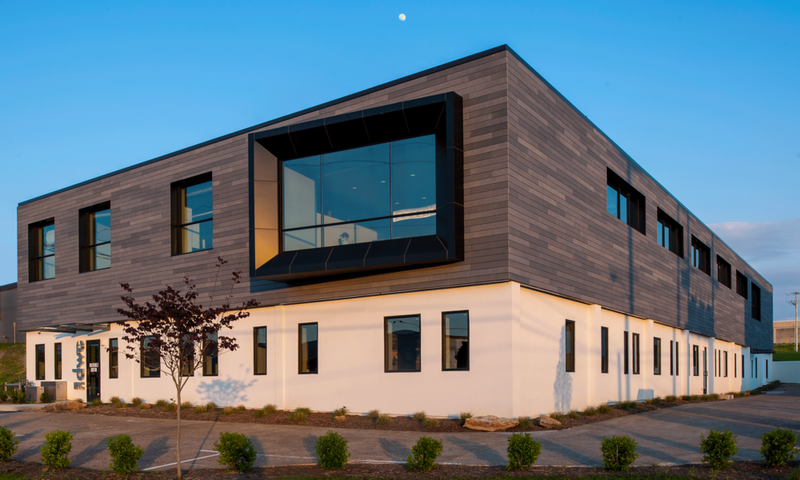 The design challenge was to transform this solemn masonry and precast structure to more suitably reflect the company’s image, showcase their furniture and products and offer a more ideal working environment than the existing warehouse-like interior. Exterior and interior structural modifications were made to meet the challenge. Distinct entries were created for the three businesses. The furniture showroom entry is an elongated canopy articulated by steel columns in the owner’s corporate colors. Entry points for two tenants on the lower floor are simple but identifiable glass and steel structures. 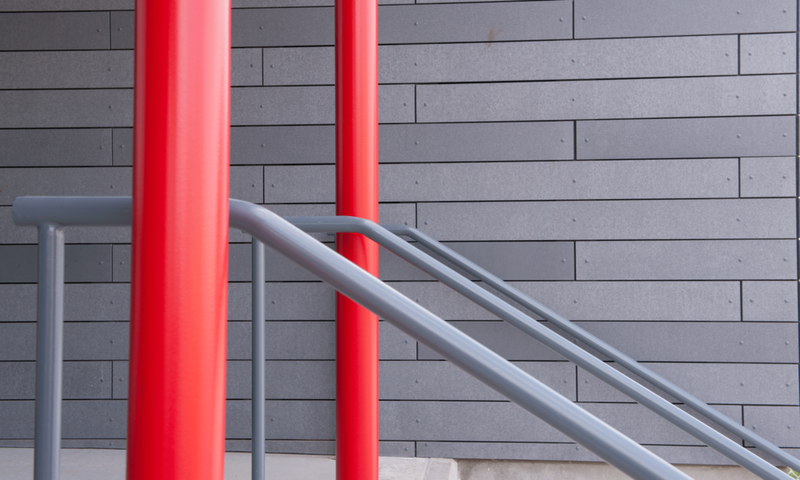 On the exterior, new textural fiber cement panels on the upper level differentiates it from the more solid lower tenant level: the upper level reflecting a sense of craftsmanship like the furniture housed there, while providing a durable exterior cladding system at the tenant level. Inside, the precast structure of the building was left visible as a simple backdrop to the furniture and products. To create an open and light-filled interior environment, thirteen existing windows were enlarged, and thirty-one new window openings were added. 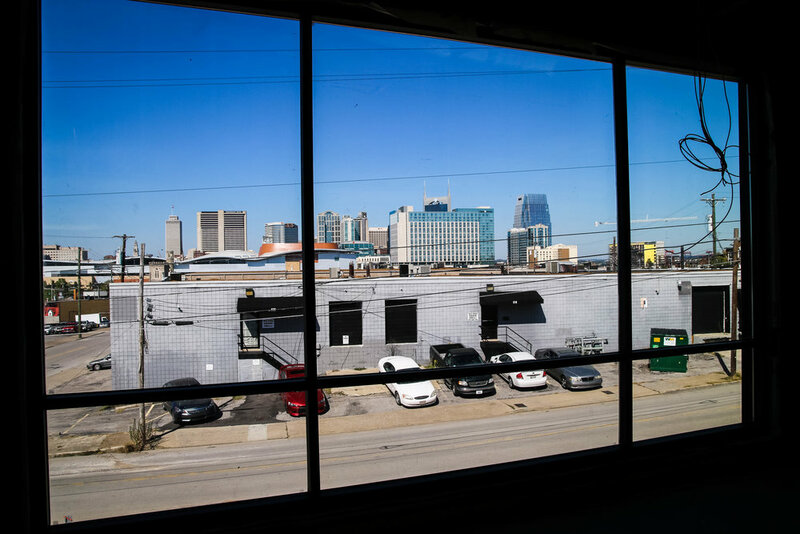 A large, dramatic angled window serves as a focal point on the public façade and spotlights the view of the developing Nashville skyline.